On July 26th, 2013 I went to the University of Rochester with Dr. April Luehmann. We went to Helen Wood Hall to go to a meeting that introduced Mr. Carlos Cotto, who is the Executive Director of Health, Physical Education and Athletics for the Rochester City School District. Dr.Steve Cook , who’s the Associate Professor in the Department of Pediatrics at the U of R Medical Center has also studied childhood obesity. Lastly, Ms.Heidi Burke focused on childhood healthy weight issues. These professional talked about issues of obesity that Rochester as a community is facing. The room wasn’t filled up but there was a good amount of people and you could tell they were interested in what was said at the meeting. Heidi went first, she mainly pointed out that Rochester alone has a problem with unhealthy food habits and people who are trying new strategies to try and help bring healthier food habits into the lives of children. They are focusing on kids in the city of Rochester ages 4-10 year old (they used to include 2& 3 year olds, but they have decided to narrow their focus to ages 4-10). They did some research and talked to Dr. Cook and the community and everyone agreed that their strategies for healthy lifestyles are looking good. I like when Heidi said, “We realize the issue is not going to be solved overnight, it’s not going to be solved next week and it’s probably not going to be solved in 5 or 10 years but we have to stick with it.” To me she’s saying that even though it may take years before a difference happens we can’t give up as a community. Heidi says, “Parents are really the voice that make things happen at the schools and at the district level that’s who the schools and districts need to listen to.” I agree 100% with that statement, parents’ voices need to be heard at every school and the district needs to take it into consideration. Carlos was next. In his presentation he said, “It is difficult for schools to achieve their primary mission of education if students and staff are not healthy” which I believe is true. How are we able to teach at a standard level when staff and students in the class aren’t healthy? Their steps to success are to create a wellness team at every school with members from staff all through the school and most importantly the voices of students. He says, “It’s hard to educate school students on health.” I agree with that as well, most students may hear what is being said about staying healthy but only very few are really listening and that’s the problem with our society today. I got a chance to ask him questions after the meeting was over. One of the questions I thought was really cool was the healthy highway which is geared more towards elementary students. The healthy highway is a system of labeling foods with the colors red, yellow and green.Green represents the healthy things you should eat, yellow represents the foods you shouldn’t eat, and red represents the foods that are unhealthy for you. I think all schools should have a system of labeling foods because it may encourage kids to make the right choices and stay on green foods instead of red or yellow foods. I learned that when eating a big mac from McDonalds and trying to work off what you ate calorie wise you won’t burn off the big mac in one day. If you exercise at a fast pace you burn 485 calories in a hour, but a big mac is more around 500 or more calories! Lastly to speak was Dr. Cook. He pointed out that Rochester alone has a major amount of people who are obese. They are trying to bring Recreation on the Move to the doctors offices to keep kids active while waiting to be called in instead of sitting and watching TV while waiting. The YMCAs are also partnering with DASH-NY on all this work. 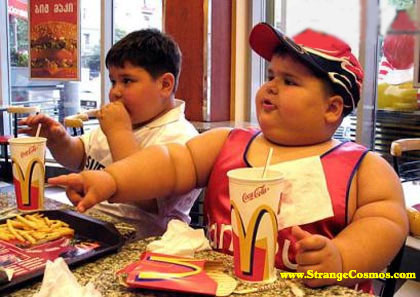 A quote from the stigma of childhood obesity “The lot of fat children is a sad one. They are bashful and ashamed of their shapeless figures, yet unable to conceal them. Wherever they go they attract attention. Obesity is a serious handicap in the social life of a child, even more so of a teenager. Obesity does not have the dignity of other diseases.” I personally agree and disagree with this quote, yes as a overweight person myself I am sad about it but no I don’t feel that I am shapeless because im bigger then some people. When I go places I don’t attract attention and I don’t feel that because I am overweight that makes me handicap. I may have taken this quote a different way then it was meant, so please comment with your opinion on this quote. I feel that as an overweight person in New York, there are better choices that I can make to have a healthier lifestyle. Instead of reaching for ice cream, chips, popcorn or anything not so healthy I could be reaching for cherries, yogurt, bananas, or a smoothie which is healthier and will satisfy me. Also, adding more exercise into my daily routine of the day, and making sure I get at least 30 minutes to an hour will also help me to stay fit and healthy. A good point made by Carlos was that you can feed a family at a fast food place for only $15 to $20, whereas at a healthier place you’d spend twice that amount. That is the problem when poverty and bills prevent us from making healthy choices. I feel it’s important to blog about childhood obesity, because I want to put a stop to obesity around the world. It is killing slowly killing us. This blog is for young overweight girls that are going through being bullied, feeling hopeless, empty inside and/or ready to give up on everything. I want you to hear my story and what I’ve been through so you know that you are not alone. There is someone out there going through the same things as you. I was bullied since I was 8 and I always cried on my bus rides home from elementary school. Everyone laughed at me and told me that I was different from everyone else, that I was too ugly and no one would ever like me. I was so hurt everyday and all I wanted was to be friends with everyone. I wanted to “fit in” and no matter what I did they just used me and laughed at me. After elementary school I went to middle school and things didn’t get any better. I was still judged on my weight. People laughed at me for actually liking the people that I did. After 2 years of that I went to high school with a mind set that I wasn’t anybody, that I’m different from everyone else and I won’t ever be happy. After a few months in high school people actually talked to me, got to know me and be okay with me. Some tried to tell me how beautiful I was and the part that sucked the most was that I wasn’t able to believe them because of everything I had been through. I never would look at myself in the mirror because my feelings were why would I look at something that no one would ever want to look at themselves? Now I’m 16 years old and I know that I’m not ugly. I’m a beautiful young lady who has a lot of problems but is working on them day by day and I’m happy. My message to young girls out there is to not give up. You are all beautiful no matter what shape or size you are. Everyone is different and unique in there own way and that’s what makes them even more beautiful. Those kids were right back when I was 8, I’m not like everyone else and I don’t want to be. I’m Emily and I’m happy with being me and you all should be happy with being yourselves too. A common quote for you too think about is, “My size should not define who I am and nor can it limit me to achieve my goals. I am limitless.” Go by this quote everyday, even though you have some flaws. Curves on your body do not define who you are as a person. Prove everyone that put you down wrong by having confidence in yourself. Be the real you and love yourself because I was always taught that you can’t love somebody else if you can’t love yourself first. Psychology uses the term self esteem to understand a persons overall emotions. Self-esteem is critical to everyones healthy functions, however no one pays attention. It is said, “when we are able to defend ourselves we have higher self esteem. Self-esteem mainly has to do with one’s physical self appearance and how they feel about themselves.” People most likely see the importance of self-esteem to their psychological health. It isn’t unusually odd that most of us try to protect and appreciate our self confidence whenever possible. What is odd is that attention to self-esteem has become a general concern, at least for Americans who see a bias opinion of themselves as the central psychological source from which all demeanor of positive outcomes recoil. The inference that low self-esteem lies at the root of individual confidence, along the lines social issues and distinctions, has postponed an determined social agendas for many years. Yes, campaigns to raise people’s sense of self-worth are successful and these campaigns give them confidence.